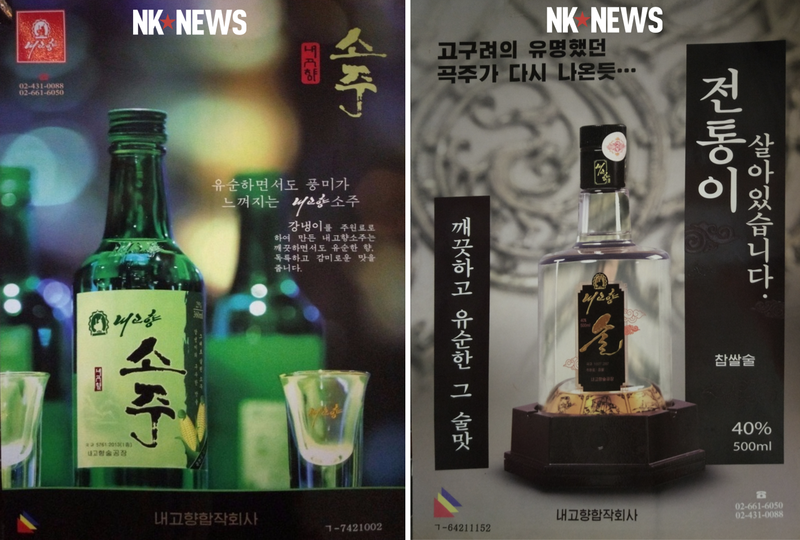 A North Korean company more commonly seen selling sporting goods and tobacco has branched out into alcohol, pictures acquired by NK News show. The Naegohyang company’s products were seen for sale at the Chongryu Hotel in Pyongyang, according to the source who provided the photos. 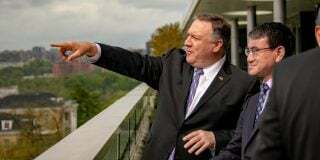 “These two advertisements were stuck on a bar bridge inside a restaurant that’s heavily visited by foreigners,” the source, a frequent visitor to Pyongyang, said. 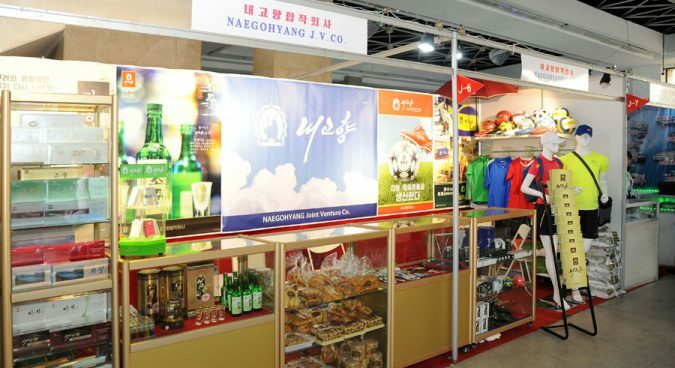 Naegohyang’s new brand bears a striking similarity to South Korean iterations of the popular Korean liquor, and was initially seen at the Pyongyang International Trade Fair (PITF) in May, alongside the company’s sporting goods, food, and tobacco. The new soju brand is made with corn instead of the more traditional rice, and gives “a clean yet mild fragrance, a unique and sweet taste,” according to the poster. 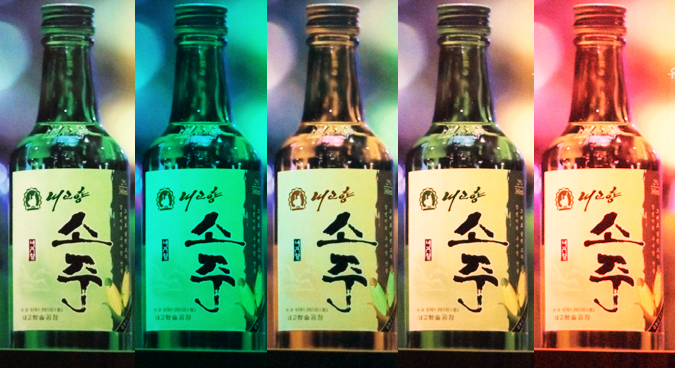 North Korea’s most well-known soju brand has historically been Pyongyang-ju, which is produced by the Taedonggang Food Factory. Naegohyang Sul is a spirit made from glutinous rice and tastes “clean and docile,” according to the advertisement, and has a strength of 40%. 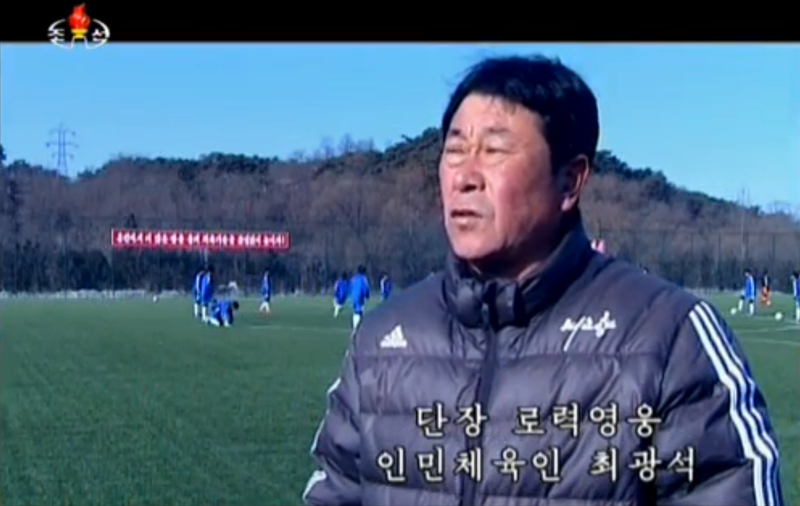 “(It feels like) that the famous grain alcohol from Goguryeo [ancient Korea] came out again,” the poster reads. 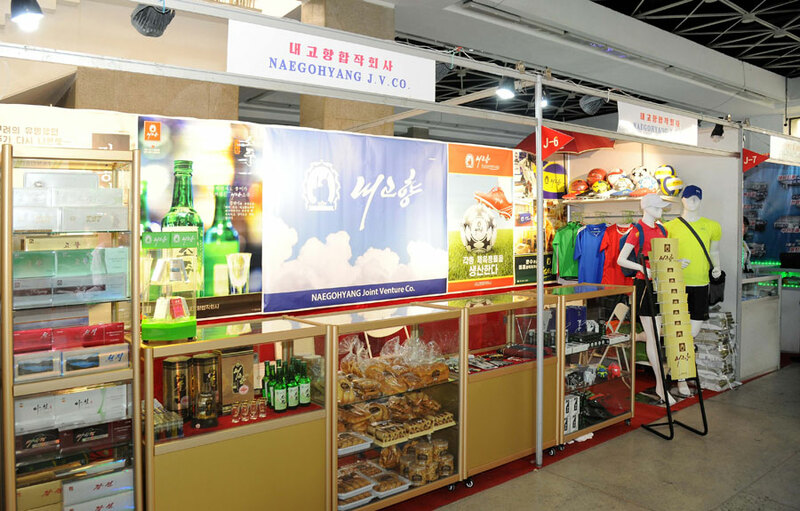 The Naegohyang company began as a tobacco company, but has since widened its scope to the sporting goods industry, opening a store in Munsu district, Pyongyang, in December 2015 and on the capital’s showcase Mirae Scientists Street in fall 2016. 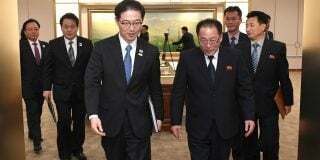 The company manufactures North Korea’s famous 7.27 cigarettes, which are reported smoked by Kim Jong Un and have been seen being sold at a higher price than non-North Korean brands. 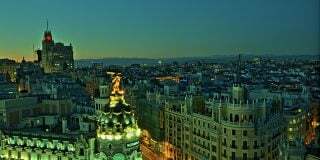 It also produces electronic goods, according to recent reports by Reuters. 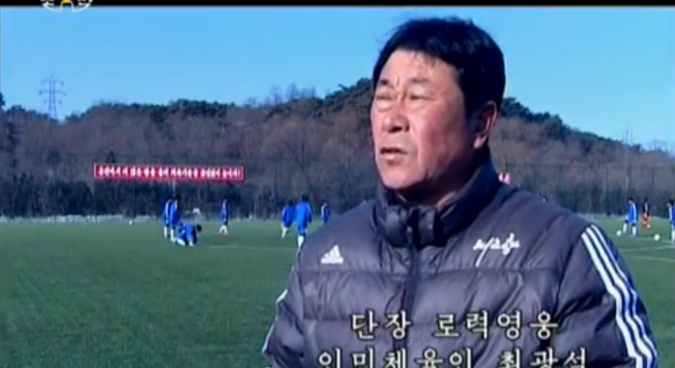 “It’s a big firm emerging fairly quickly and getting a lot of noise… I even saw two Koreans wearing Naegohyang polo shirts when I was on a walking tour last week,” the source told NK News. “I’ve only seen them on display on the Soju shelves in the Kwangbok department store in Mangyongdae district,” they added, suggesting the new alcohol is, as yet, only available in Pyongyang. 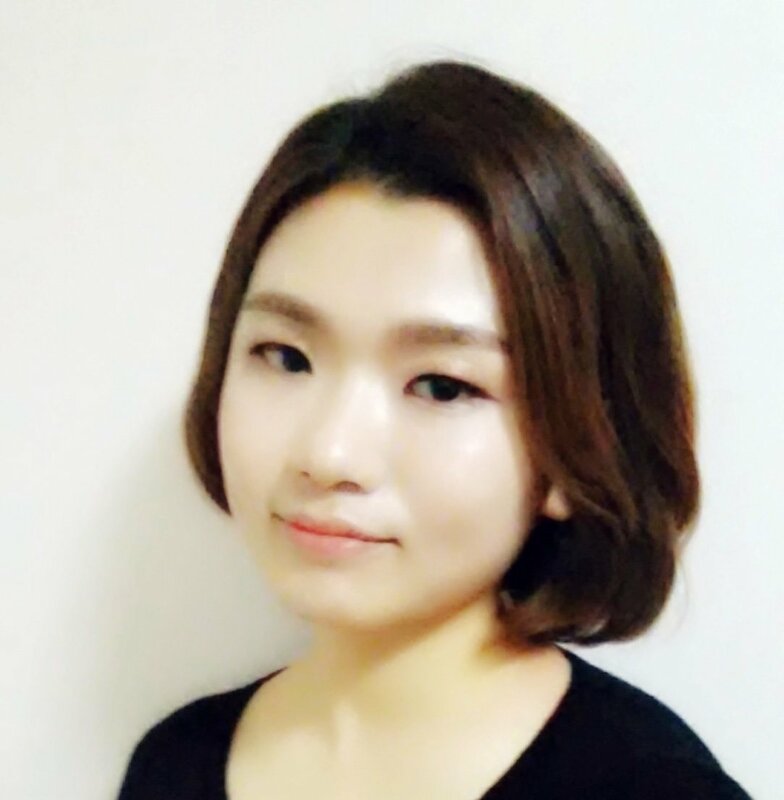 Naegohyang appears to be one of several North Korean state-run companies that have in recent years expanded their offering in a style not dissimilar to South Korea’s chaebol (conglomerates). One of the most prominent of these has been Air Koryo, the country’s national airline, which has recently expanded into the soft drink and tobacco markets, and is even reportedly managing a number of gas stations throughout the DPRK. “They are after all the national carrier of a country where people have a great deal of national pride,” he added. Subscribe to read the remaining 528 words of this article.